Although Christians like to demonize religions like voodoo, today we can see analogous "Christian magicians" practicing exorcism in the poorest parts of Africa. They abuse gullibility of simple people who are under pressure of superstitions that should be rather suppressed than sustained. Yes, superstitions can be eliminated, but Christian priests collect money from poor people instead and thus actually sustain them. As Christians view voodoo (or any magic) mostly as something demonic, I must say here what Christians do in the poorest countries of the world - some of them belong to denominations known here in Europe and in other developed parts of the world. The message of the Gospels is to deliver us from sin and Gospels do not contain a single verse about Jesus asking money for exorcising evil spirits or for healing the sick. Voodoo is a religion brought to America by black slaves from Nigeria, a country that became a goldmine of slavery for colonial powers, which started with massive transport of slaves from West Africa to America in about the year 1500. Of course, these human beings were not slaves, but only forcibly made that way. Many of them were killed and flogged to death like animals. Among the barbaric nations were Spain (which colonized countries like Cuba, Venezuela, Peru...), Portugal (Brazil), and United Kingdom (which colonized Northern America). Other countries built their economy on slavery too, but the above ones expanded the yoke hand in hand with Christianity and with the cruelest impact on other native nations like American Indians. Voodoo originated in Nigeria, which has more than 250 ethnic groups - the largest one is Yoruba or Igbo with a variety of religious systems such as Olorun, Vodun... Nigeria was a cradle of prehistoric civilizations such as Nok. The Nok culture had developed many years before Christ and it is known to have had contacts with the then ancient Egypt. Various archeological excavations confirm this. The Nok people used symbols which epitomized some authoritative representations of the Egyptian culture. Dr. Kwame Nantambu (Kent State University) says that black Africans in ancient Egypt wrote the Bible (Old Testament) as scribes, which is the fact that the Catholic Church hides from the public. In Ethiopia you can meet "black Jews" (Ethiopians) with Judaism as their faith even today. Maybe this will surprise some people, but the Catholic Church is an organization that resembles the Roman Empire in a certain way. It is divided all over the world to dioceses - the same name the Roman Empire used for dividing its Empire; the Catholic Church has its Emperor (Pope) and a lot of the Catholic heraldry, too, resembles the one that was used in the Roman Empire (like symbol of the sun, etc.). The above is just an example for readers to understand that in the same way the Roman Empire has survived in the Catholic Church, the same thing happened with beliefs of ancient Egypt that have survived in many African religions until today. Voodoo together with some other contemporary African religions is the only living religion in the world which contains some beliefs as were common in ancient Egypt, particularly the ones related to goddess Isis, the deity which was very popular up to the 4th century AD also in Europe. A logical support for the above statement is that Isis was Goddess of Magic, which is the living element of Voodoo. Of course, there are other "magical religions", but Isis and Voodoo (African Vodun) were territorially closer, and both are very, very old.
. Voodoo is an offshoot of a variety of religions practiced in the then Nigeria and not only the result of the presently living Vodun in Africa, but conditioned by history in which it developed from after the year 1500 off the African continent. Presently we have Haitian-type Voodoo, but also its offshoots in other parts of Latin and Northern America. The basic concept of this religion is based upon magic, spirits, and worshiping of God. Some parts of it merged with Christianity - for example, Candomble in Brazil. Louisiana Voodoo is just another offshoot, which appeared in New Orleans. Except for Haiti, the Haitian-type Voodoo can also be found in Brazil, Trinidad, or the Dominican Republic (we could certainly mention some other countries as well). 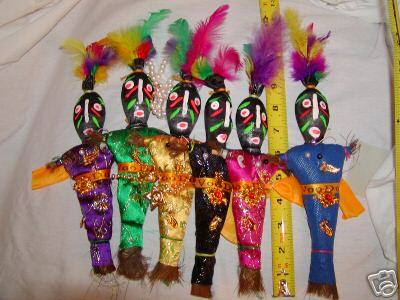 Voodoo as a religion can be either seen from the inside or the outside. Many parts of it are secretive. Voodoo is a spiritualistic religion, which means that a practitioner may be exposed to the power of spirits or a spiritual experience; some spirits can help (cure, give predictions), or harm (a curse used against an enemy). Followers of Voodoo believe that there is one God (who has many helpers), but contrary to other religions they give a strong accent on behavior of nature. Of all mainstream religions, only Hinduism can be comparable to Voodoo, as it is open and draws its power from aboriginal cultures too. A similar practice found both in Voodoo and Hinduism is, for example, Kolam or Rangoli - the Hindu tradition of drawing pictures on the ground (auspicious signs), either on the floor or in front of the threshold. Another similarity between Hinduism and Voodoo is belief in snake people. Hindus believe in Nagas and have their Naga Gods (like Khodiyar Maa); practitioners of Voodoo have their snake god too; it is Damballah Wedo. Voodoo became famous with its Zombies, which are mentally dead persons (made such by a Voodoo sorcerer). Voodoo is associated with Hoodoo. The difference between the two is like between a religion and practicing it (like Wicca and Witchcraft). Voodoo is filled with spirits, gods and goddesses (like Erzulie), but its Egyptian aspect has probably survived in the form of Goddess Yemaya - Yoruban Orisha, or Goddess of the Ocean, which the African Diaspora brought to America. Yemaya brings fish to fishermen and her sign is the crescent moon, which gives us a strong association to Hindu Goddess Durga. In Brazilian Candomble, she is known by the above name, which may slightly differ (Yemanja); in Haitian Voodoo she is worshipped as Moon Goddess. Voodoo is a religion not to play with. 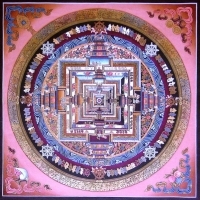 It must be approached with respect and not with derision, otherwise we may soon find out that its power really works. The consequences can be either good or fatal.